Sigma Iota Rho at GW has been involved in philanthropic work since our founding. We have worked with the Alternate Greek Council at GW to donate hundreds of dollars to our longtime philanthropic partner, the American Refugee Council. 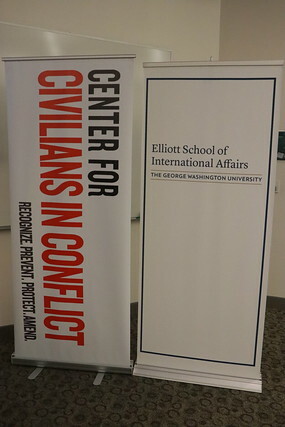 Currently Sigma Iota Rho has partnered with the the Center for Civilians in Conflict (CIVIC). On October 25, we hosted CIVIC representative Sahr Muhammdally to learn about CIVIC’s work on the Humanitarian Crisis in Yemen.